Why to Use a Soap Nut Shampoo? The best thing about soap nut is that it is free from all types of chemicals, such as parabens, silicones, sulphates, propylene, petroleum, butylene glycols, alcohol, pesticides, phthalates, synthetic colors, aroma, etc. which make commercially available shampoos harsh on our hair. Rather, it can cleanse our scalp and hair, provide essential nutrients to our hair follicles, prevents scalp itching by keeping it moisturized, condition each of our hair strands and regulate the over secretion of sebaceous glands present in the scalp. In other words, you can give your hair a complete natural treatment by using a soap nut shampoo regularly. 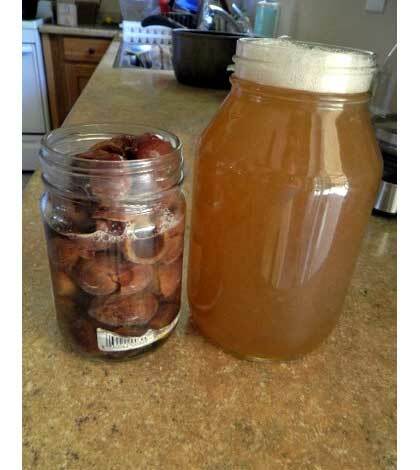 How to Make Shampoo from Soap Nuts? Soap Nuts – 15 gms. Acacia Pods – 15 gms. Start with cracking the acacia pods to take out their seeds. Grind them in a fine powder with the help of mortar and pestle. Take the cotton drawstring bag and pour the powdered acacia seeds into it. Also, add the soap nuts and the hibiscus to the bag. Tie the strings tightly so that no air can pass through it. Now, pour the water into the saucepan and place the tied drawstring bag in it. Turn on the heat and let the water get boiled. Make sure that you boil the water from 15 minutes to half an hour so that the saponin content of the soap nuts is released into it. Being a member of the amphipathic glycoside family, saponin develops a natural soap-like base. Once you see the formation of gentle foams, turn off the heat and keep the saucepan aside. After some time, the concoction will reach the room temperature. At this time, take the drawstring bag out and squeeze it properly in order to extract the remaining mixture. Finally, discard the drawstring bag and pour the concoction carefully into a shampoo bottle. Your soap nut shampoo is ready. The texture and consistency of a soap nut shampoo are quite different from the synthetic ones. It does not produce as much lather as readymade shampoos. The fluidity of such natural shampoo is also much more than the artificial ones. As you can see, no preservative is used in this soap nut shampoo. So, you cannot store it in refrigerator and use for a couple of weeks. Do not apply a huge amount of soap nut shampoo at a time as it may increase the dryness of your hair to a great extent.